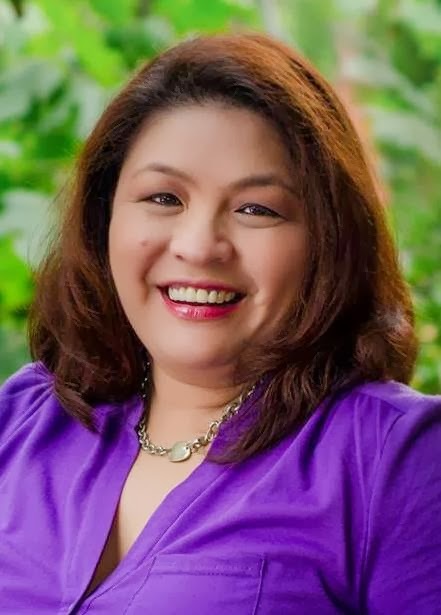 SKIP TO MALOU: hmm the oscars or kpbs? Last Sunday, I kept switching channels (and hooray for DVR!) between The Oscars and the local public television station, KPBS. Why the PBS station on the night of the Oscars, you might wonder? Oh well it's because my son was on TV! Ok, it wasn't really a TV appearance or performance like American Idol, but my son volunteered to answer phone calls on KPBS. His face, together with the other volunteers', was flashed on TV... Nonetheless it's still TV, which got our family excited that Sunday night, while everyone else we know watched the Academy Awards. "Don't forget to watch me on TV" he said on his way out. "It's Oscar night, are you kidding me?" said my daughter in jest. Funny how his role was just sitting in the background and yet it brought a bigger thrill than seeing Penelope Cruz walk down the stage in a crimson Donna Karan gown. He didn't have any speaking line that was audible (he was answering the calls remember) but every time we see him open his mouth, we laugh just as the way we laughed at Alec Baldwin's punch lines. He didn't walk the red carpet but yes, we gave him a 10 for choosing a pinstriped long sleeve shirt to look the role of “business casual" required of the volunteers for the show. My husband looked at me expecting me to cry just as I would cry in episodes of Undercover Boss, but a-ha, I didn’t cry. Instead, I just looked into the wide-screen TV with Joey there, I was mesmerized. Yes, I'm simply amazed at how time flies, my son all of 17 years looks so grown up... there he was JOEY! At his young age he organizes and volunteers for various civic-oriented activities similar to this one. He genuinely cares about the community. For me, he is my American Idol. And the OSCAR goes to... Ooops, I missed it because just when I was about to enjoy both shows, my husband asked "What's for dinner?". Quickly I ran to the kitchen and hmmm I thought hard... with the TV beckoning, I thought of ordering take out, but heck no. I thought I could prep something on the fly... hmmm IMPROMPTU (IMPROMPTU DIVA used to be the name of my blog and I think I miss being called the IMPROMPTU DIVA, hahaha). As I was tying my apron strings, I thought about my cooking templates for quick meals. I usually have a template: if it's Italian - it's spaghetti, if it's korean - it's bulgogi, but I was in Filipino food mode, so my Filipino default dish for easy cooking calls for... adobo! But I didn't want to have just plain adobo, so I added a twist. 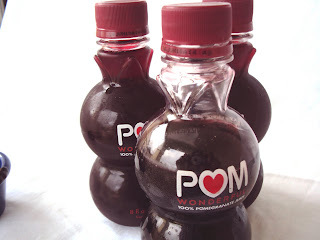 Luckily, I saw the POM wonderful drink (pomegranate juice) in the fridge. By the way, let me digress a bit, I just want to thank the wonderful people at POM WONDERFUL for sending me a package of 12 bottles of their 100% pomegranate juice. I was so excited to receive my first package ever sent to SKIP TO MALOU! I just received a dozen chilled bottles and before it reached the fridge, the four of us chugged four bottles down instantly… like it was a drinking challenge! Phew that was good! I never tasted pomegranate before so it was all new to me. I like the tart taste, which reminded me of cranberry. I always wanted to try it when it first hit the shelves at the grocery store. The packaging is also novel, and with the shape of the clear bottle, it accentuates the rich red color. So going back to my impromptu take on the adobo Oscars Sunday, the Oscar goes to: the POM GLAZED ADOBO. Also, congrats on your son's KPBS appearance! I live here in San Diego, too, so I was surprised to see you're local. I'm looking forward to keeping up with your blog! What a proud mama moment, you raised your kids well. I can only hope my boys turn out as well as your Joey. We should breed more American Idols like your son... and not the pseudo "american idol one"
Great presentation. I never had adobo look this stunning! This POM adobo sauce is absolutely fabulous! It looks so sophisticated and delicious! What a charming son you have. He is my American Idol too. This is a good twist because sometimes adobo is too sour for me. I would prefer a sweet one and in this case, POM glazed! I really admire kids who volunteer to do good deeds in their community. You don't see a lot of them do this nowadays. Joey had set a very good example for his generation. Keep it up Joey! 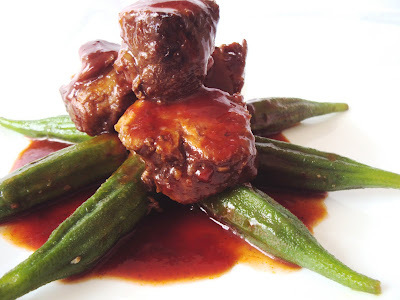 This is another twist to an adobo dish that I must try. The use of pomegranate juice really sounds interesting. I'd say it's a healthier version of adobo. Congratulations to the proud mama. :) Oh, that adobo looks scrumptious and so vibrant. The color is so intense. Nice presentation too. How I wish I could get free stuff here in the Philippines. The healthy ones but unfortunately, nobody has offered me to try their products. 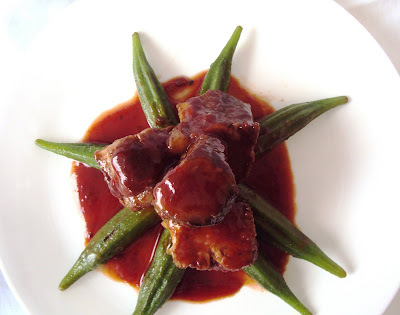 I love okra and I'm glad you used it together with this special adobo. Stunning pictures... great story! @Vanillastrawberryspringfields: Haha look at that long name but I love it. I'm thrilled to see you.. whenever you drop by it brings smile to my face! thank you! @ LOrena: hi there neighbor im glad you found my blog. i would love to see you drop by often... thank you for doing so! @Caroline:I'm sure your sons will turn out into fine men, your hands-on mothering will be all worth it! keep loving! @Thank you for your kind words... and I agree with you on the "idols" that we make! @Hi Christine! Yes we did, in fact today we're showing it to my in laws who are in town hahah! Thanks for skipping to Malou!!! @foodie2: hey long time no see haha... im glad to see you again! @cookies and cream: thank you and yes we're proud of our Joey. He's always of service to others, which is really remarkable! @Divina: hey move over here! hahaha! This is my first time to receive free stuff, and I'm so thrilled! @thank you thank you for stopping by. I truly appreciate it! 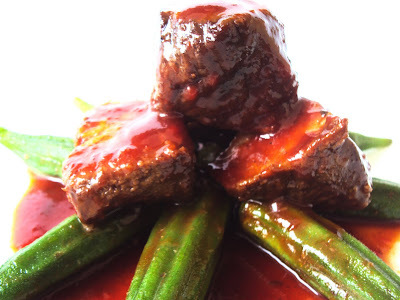 Pom glazed Adobo sounds totally award-worthy! How wonderful that your son was volunteering on KPBS! Hay Malu - all your kids are amazing! Congratulations on raising them so well! And love the twist on a classic dish - delicious! @cusinera: it was my frist time to try pom, so the taste was totally new to me. I replaced the vinegar using pom and the tastte is something you will appreciate. I hope you will be able to try it. For as long as you give your kids love and attention, they will give it back the same way you showed them... keep loving! @Natashya: thanks for your unending support for this blog. Your presence is always appreciated! @Trissa: Oh thank you! They are my greatest blessings in life! Didn't we just do adobo recently? haha! Another adobo but indeed an interesting twist. I love the intense color. Definitely watching your son is way more important than the Oscars - he sounds like a fine young man! Speaking of fine, this dish is awesome! I love your take on adobo, using POM for a sweet-tart flavor in place of vinegar. It also adds such a beautiful color to the whole dish! Malou I smiled the entire time I read this story -- what a wonderful family and son you have! How impressive for him to be so selfless and such a good citizen to not only the community but to this world, you must be a proud mama :)!!! Ordinary people could like your son making a difference is adding extra to the ordinary. Hooray for Joey! This dish deserve a hooray too. It's so creative. Keep on doing what you're doing. That's awesome. You have a terrific son. Not many young people are willing to donate their time like that. As usual, the food looks wonderful too! @Anonymous: same here I love the bold red color too! @adoboloco: thank you for the link and for appreciating my "art" . I will add more adobo recipes as I blog along! @TN My son is one of the greatest gifts... so blessed to have him. Yes you're right, i replaced the vinegar with the "tartness" of pom and it blended so well. @Joy: it makes me smile too reading your comment... hahaha! but yeah it's yummy-o! @Anonymous2: that's true it's putting the "extra" in the ordinary that makes it extra-ordinary! @Mother Rimmy: Thanks for stopping by, it's great to have you even if I'm so obsessed with pork... hahah! happy saturday! I can relate to how you felt regarding your son; however, I am so glad he is grown up and enjoy the friendship now way more than I enjoyed the raising and disciplining! What a darling post...and the adobo looks amazing. I came over to visit from Rebecca's Chow & Chatter Blog...I will be back to visit again soon! @Joumana: Other moms say that all the time... I guess they get mature in time so the bond is better. Thanks for the kind comment. @Carrie: great to see you skip by... I hope to see you around! What a cozy cottage you have too! You're a very cute momsie! hehe.... I'm sure you're really proud of your son. We sounds almost alike, whenever hubby asking what's for dinner... Oooops...errr...have to think about it and check what I got in the fridge! hehe.... Btw, your dinner looks divine. @sugarplumfairy: awww you're the sweetest... congratulations on your new site... ill be following you there! indeed you are a star! @my little space: great to meet you! funny that we're so alike! i think that's how we wives feel all the time. thanks for stopping by! I think watchign a family member on tv would be way more scintillating than the oscars. It's like your own fifteen minutes of fame! This dish looks amazing. I love the red you got in that glaze. So gorgeous. Sure this sounds like a winner.